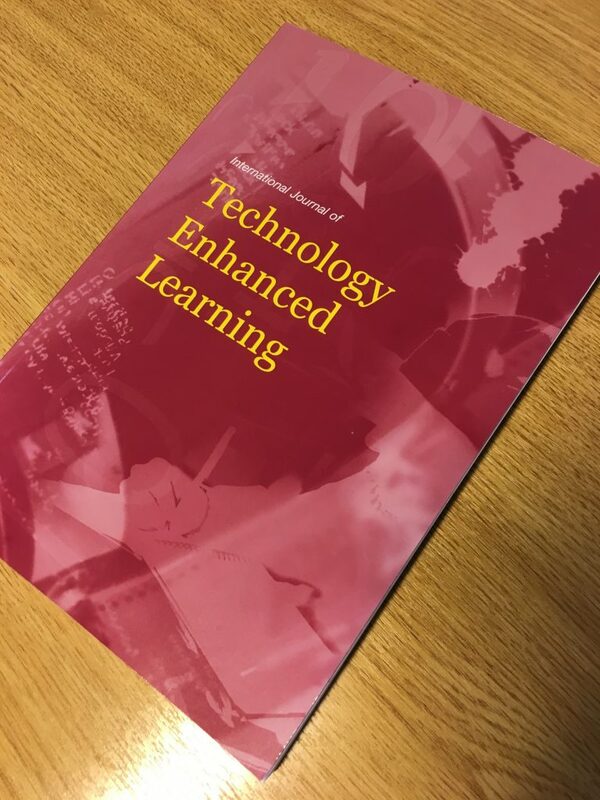 The latest issue of the International Journal of Technology-Enhanced Learning (IJTEL) is a special issue on Awareness and Reflection in Technology Enhanced Learning. This special issue has been edited by Alexander Mikroyannidis together with external collaborators Milos Kravcik (DFKI Germany), Viktoria Pammer (Graz University of Technology, Austria), Michael Prilla (Clausthal University of Technology, Germany) and Thomas Daniel Ullmann (The Open University, UK). This is related to the ARTEL (Awareness and Reflection in Technology-Enhanced Learning) workshop series, which started in 2011. This series of workshops has mostly taken place at the European Conference on Technology Enhanced Learning (EC-TEL), which is one of the most prominent venues in its field. This special issue features a set of high quality papers, addressing different aspects of awareness and reflection. In particular, 21 submissions were thoroughly reviewed and 8 of them were accepted for publishing. The accepted papers can be divided into several categories. The first three papers present a theoretical overview of the field – starting with a general overview and then focusing on blended and workplace learning respectively. The next two articles introduce methodological approaches, namely annotations in online course and digital storytelling. The last three contributions describe implementations of different systems – personalised dashboards, ambient visualisations and remote labs.